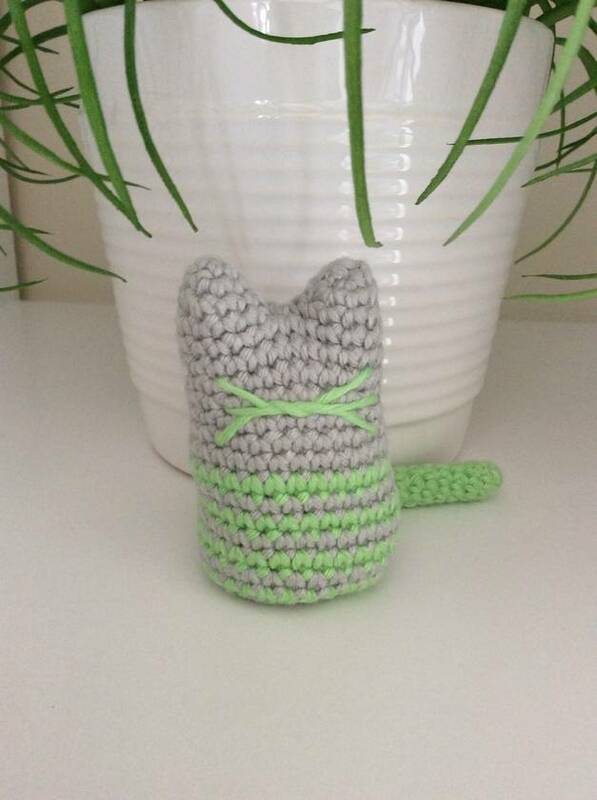 Standing at 7cm tall and 12cm around this gorgeous cat rattle is the perfect size for those little hands to hold. The tail is 7cm long and just 3cm around. 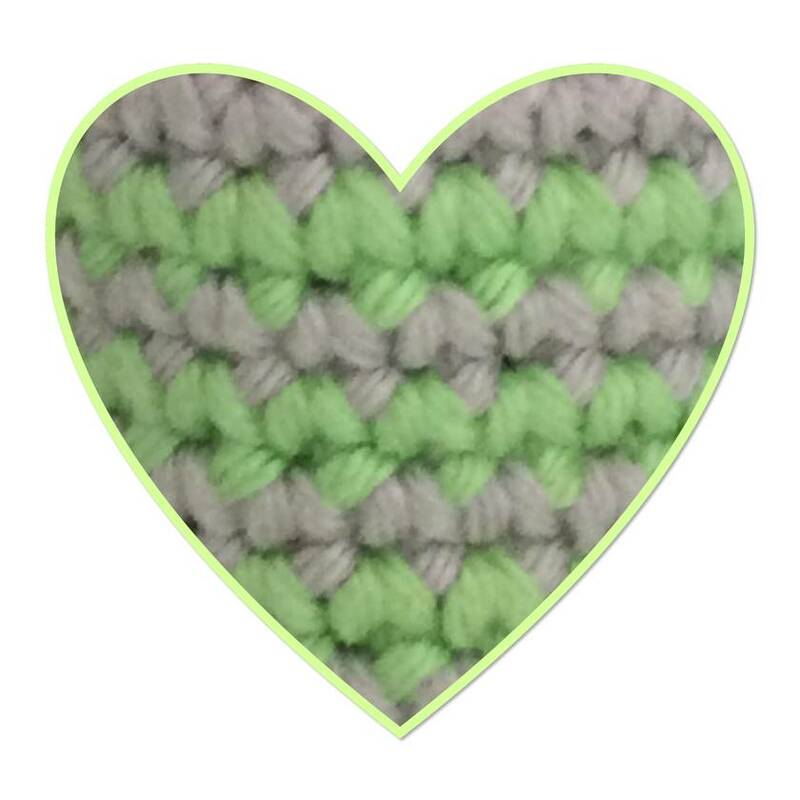 Created by me and made with 100% cotton in pale grey and lime, it is not only soft but also hard wearing and there are no yarn fibres to get up the nose or into the mouth. The cat is stuffed with premium soft non-allergenic and washable fill and a small plastic 100% washable rattle. Hand wash, machine spin, reshape ears and body and air dry. 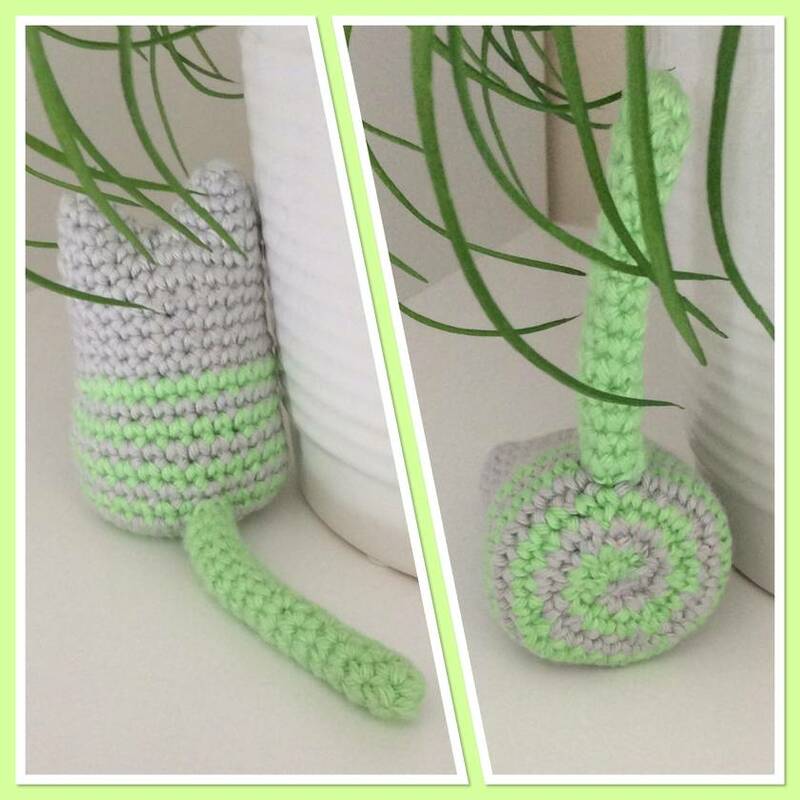 See my other ihook listings for other cat colours available. I am happy to combine shipping if you are buying more than one of my items.